The British Computer Society was introduced in Mauritius in 1989 and the first batch of students took the April 1990 BCS Part 1 examinations. BCS members has been growing in number over the years and today we have 1100+ members in Mauritius spread in all the membership grades. The society operates under the trade name of BCS, The Chartered Institute for IT as from 2009. The BCS( Mauritius Section) established since 2004, has nearly 1100 members including Chartered Fellows, Fellows, Chartered Professional members and Professional Members. BCS, the Chartered Institute for IT is the industry body for IT professionals, and a Chartered Engineering Institution for Information Technology (IT). With members in over 100 countries around the world, the BCS is the leading professional and learned Society in the field of computers and information systems. 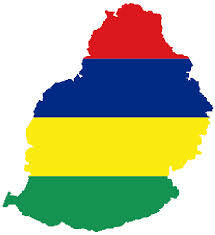 We are present in Mauritius since 1989. Mauritius is proud to be the first country outside the UK to have a Regional Office , which represents the Institute in this region of the world. We are a charity with a royal charter, and an agenda to support the people who work in IT and to lead the industry through its ethical challenges. Against all constraints and limitations, BCS is proud to be a milestone and the flagship of Professional IT Qualifications. We share the vision of the Government and has been an active participant in the promotion of ICT in Mauritius.